Making The News Canada: What Makes for a Successful Blog? What Makes for a Successful Blog? A friend stopped me recently to ask about blogs: What makes a blog successful? As someone who has three blogs, I am more than interested in that question. I started my first blog in 2009. 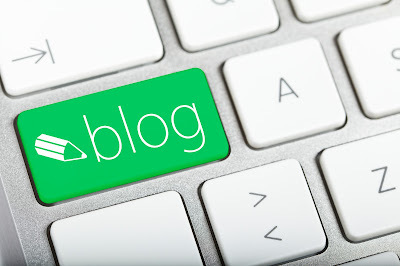 Back then, it is estimated there were 127 million blogs in the world. By 2011, there were 173 million. Today it is estimated there are over 300 million, but nobody knows for sure. Not to mention podcasts and video blogs (vlogs). How many of those blogs are active? That’s also hard to say. But one estimate, back in 2008, was that 95% of blogs are abandoned by their creators. Which doesn’t surprise me. Blogging, like anything, requires work. After the first rush of passion to start a blog passes, people soon realize that keeping a good one going requires thought, imagination, research—and just plain dogged, regular dedication and commitment. Which leads me, in a roundabout way, back to the original question. What makes a blog successful? Consistency, for starters. If you start it, you have to keep at it. Not every day; few of us are so smart or inspirational that readers will hang on our every word. Plus, who has the time? My own commitment is to update my blogs between 2-4 times a month. That seems about right for the amount of time and energy I possess. Another thing that makes a blog successful? Good writing. People may not know how to explain good writing, but they know it when they see it. This means spelling and good grammar—the basics. Paragraph structure is also key. Writing for the web is different from other forms of writing. It’s more like newspaper writing: Short sentences and paragraphs. Like what you are reading now. One sentence per paragraph makes a blog easier to read. Two to three is maximum. This is especially true for those many people who use phones to access the web. There’s nothing like a dense screen of text to push them away. Length is important, too. Studies suggest the best lengths are 300-500 words or 800-1,000. My own take is that if your post is interesting, and meets a need, people will read it (as long as it isn’t too long). And, of course, you need an audience. Who would want to read your blog? Finding focus is key. That can be your own country, province or state, or community. Even just your neighbourhood. Next: You need a way to let people know about your blog. Facebook and Twitter can help with that. So can e-mail lists of like-minded people who might want to read your posts. But even if few people visit, that doesn’t mean a blog is a failure. Which is my last point: Change the meaning of success. I started this blog because I had a need to understand the changing world of media, marketing and communications. By writing this blog I am able to figure out where things are going, what’s happening and what it means for me and the non-profit sector in general. In other words, I write like nobody is reading. If others find it useful, too—bonus! This has the advantage of taking the focus off the number of views. Success isn’t if a post goes viral—although that’s never a bad thing—but whether it meets my expectations for myself. As for my other blogs, one is just for fun. It’s about my hobby. The other one is where I post the columns I write each week as Faith Page columnist for the Winnipeg Free Press. And this one, where I try to figure out what the heck is happening in the fast-changing world I work in. As for you, the reader, I’m glad if you find an occasional helpful nugget. If not, I still learned something by writing—including writing this post. When it Comes to Foreign Aid, Are We Nuts?